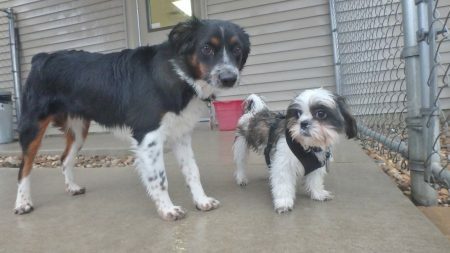 Just Dogs welcomed Cooper L (Shih Tzu) on his first day visit. Just Dogs welcomed Cooper L (Shih Tzu) on his first day visit. Cooper made many new friends, and he and Charlie F (Mini Australian Shepherd) decided they would have a “cuteness contest” for the camera. The votes are in, and all votes declared “very cute,” so we have a tie! We look forward to seeing cutie Cooper again soon!